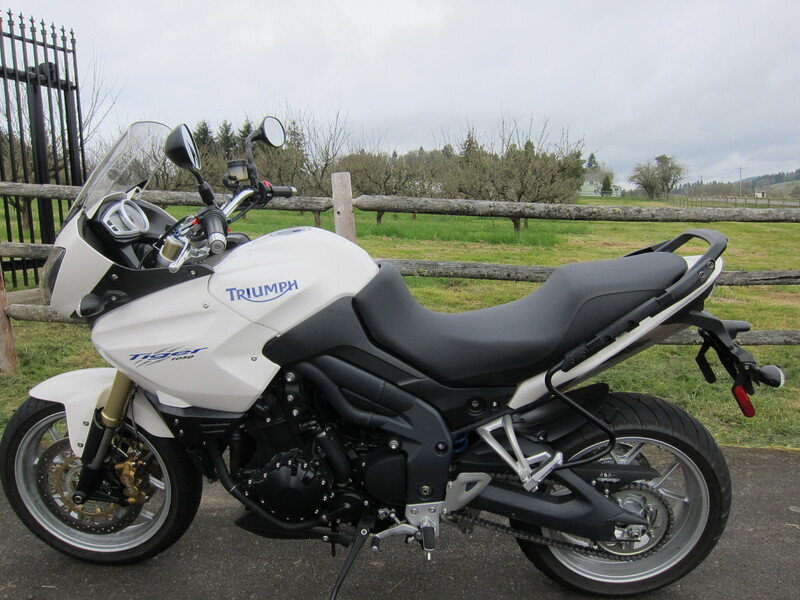 I wanted to test the Tiger 800, but since the dealer had this bike available… why not try it? When sitting on it the first impression you gather is from the ergonomics of the bike. 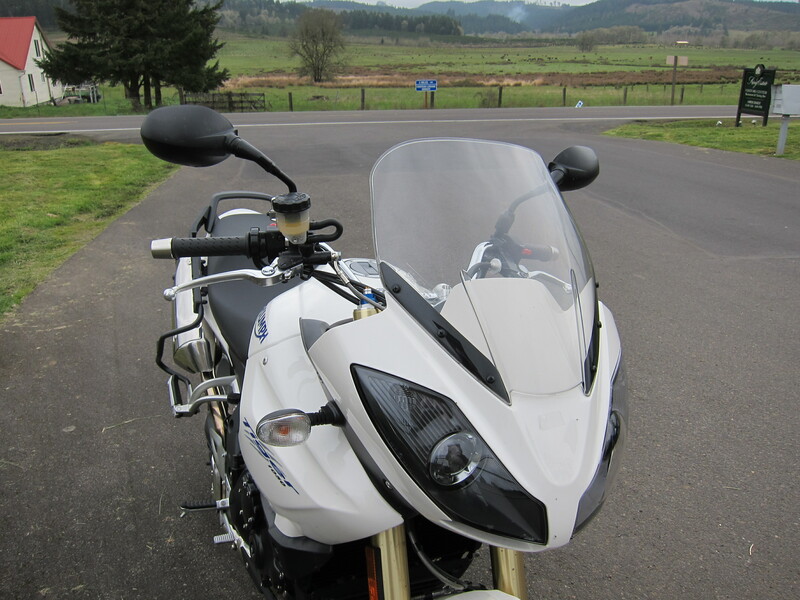 Seat, handlebars, pegs: it is a clear mix between a sports bike and a touring bike. Start the engine and you hear the beautiful triple in action. These motors are not only smooth, but also sound great. Put first gear, release the clutch and power is right there! The acceleration feeling is similar to what you get from the Ducati MTS 1200. There is power to be reckoned with. Lots of it. 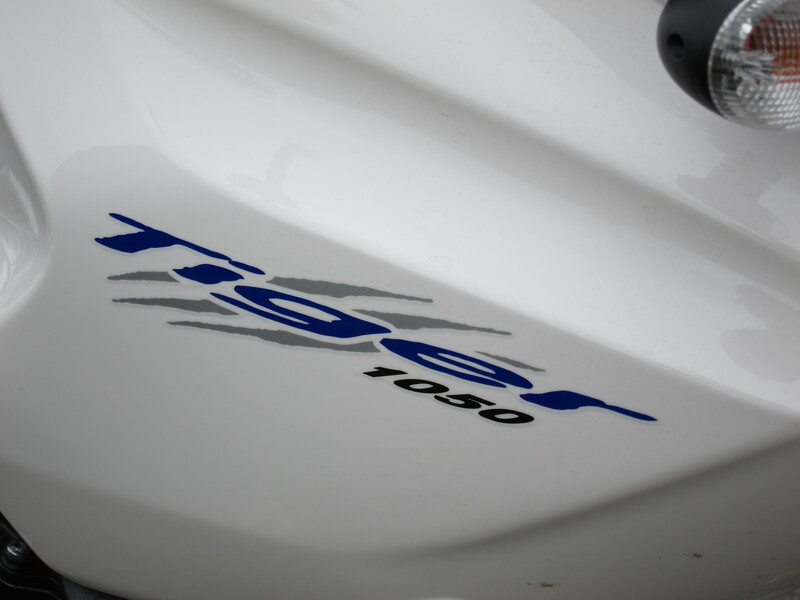 Besides not having the electronic amenities such as traction control and suspension settings, and the choice of fueling maps available in the Ducati, the Tiger 1050 misses something else: that visceral feeling you get when you accelerate the Ducati and it is on that engine’s sweet spot. How sweet that is… But believe me, the Tiger may not get you that feeling, but it is not far behind the Ducati in terms of performance. It just lacks that raw feeling, that visceral connection to the motor and the riding experience that the Ducati graciously, mind you, gives to you. When you get on the binders, be aware, this bike will want to stop on a dime. Brake action is immediate. And powerful. Overall, it is a very nice bike, with mild form and with sport bike performance. I know several people who use these bikes for long distance touring. To me, with my preference set towards a more upright riding position, this bike does not cut the deal. This could be remedied by adding bar risers. But I would still be stuck with a form, the total shape of the bike that has more street features than what I desire on a motorcycle. It is a great motorcycle. Just not my cup of tea. Would I buy it? Not at this time. And if I were to buy a motorcycle in this segment, with this kind of power and ergos, I would certainly opt for the Ducati MTS 1200.